A complex yet monochromatic color palette sets a rich and inviting tone to this kitchen. 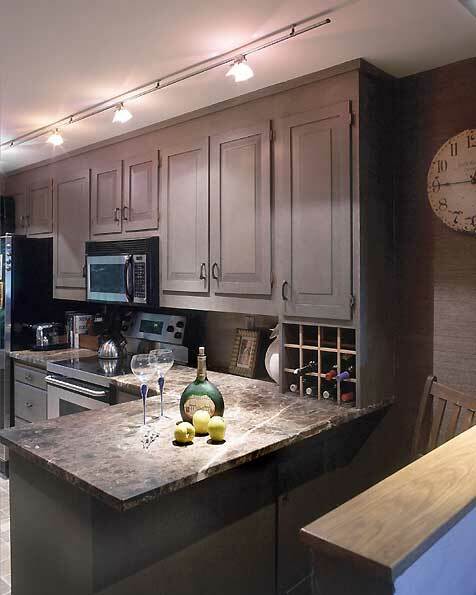 The granite countertops have been honed to soften their reflective feel and finish. Contemporary German fixtures provide excellent functional lighting as well as an interesting sculptural contrast to the organic materials used on the walls and floor.